Former Finance Secretary Hasmukh Adhia was appointed as non-executive chairman of Bank of Baroda on Friday, according to a Personnel Ministry order. The Appointments Committee of the Cabinet has approved his appointment as part-time non-official director as well as non-executive chairman on the board of Bank of Baroda for a period of three years, it said. Adhia, a 1981-batch IAS officer of Gujarat cadre, superannuated on November 30 last year. He last served as the Finance Secretary. 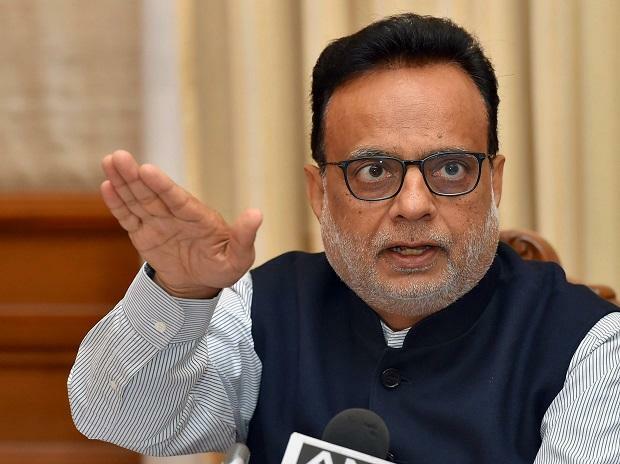 A few days before his retirement, Finance Minister Arun Jaitley had described Adhia as a "no-nonsense civil servant who performed his job with professionalism". In a Facebook post, titled 'Dr. Hasmukh Adhia retires', Jaitley had said, "He was unquestionably a highly competent, disciplined, no-nonsense civil servant and of course, with impeccable integrity."